I started my senior year of college with no direction, no plan and lots of uncertainty about what was next. Then, while climbing a mountain in Russia, a dream was dropped into my heart. Just one year later I had quit my job, started a not-for-profit outdoor organization and was taking teams around the world. Now, I’m convinced it was God that made it all happen. But I also know that it required some strategy on my part. I worked hard and God made the dream in my heart a reality. But it all happened in just under a year. I say all that to say this: This could be the year that some of your major goals or dreams become a reality. But you’ll need to get serious about getting organized and intentional. Here are a few practical things you can do at the start of this year to get moving toward the dream God placed in your heart. There’s a good chance your dream or idea is still a little vague. You may think it’s clear, but the test is this: Can you explain it in a clear one-line vision statement? 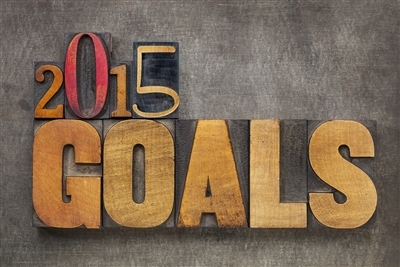 Start the year by telling everyone your goal. Look for the most simple, clear explanation that hones in on exactly what you want to accomplish this year. Don’t use fancy words. Don’t make it long. Tell what you are going to do and why it needs to be done. Once it’s clear, write it down. Put it somewhere visible. Keep it in front of you. If you are going to be all God has for you, you can’t do it alone. You need an advisor team. Good advisors don’t tell you exactly what to do, but they’ll share things they have learned and give you some insights into the possible outcomes of choices. A peer – someone who is in your same stage of life. Someone in the trenches with you. Once you’ve got this team, set up regular times to meet with them. Ask a lot of questions and be ready to listen and follow the advice that seems to fit with what God is telling you. If you don’t know where you are going, any road will get you there. But you do know where you are going. So make a plan. Just know that it will change. Write out small steps you can take. Then start taking them. Set a deadline for yourself. St. Irenaeus once said, “Work as it if depends on you. Pray as if it depends on God.” Your dream is a partnership with the one who gave it to you: God. When you get to a part of your plan you can’t accomplish without some divine intervention, then it’s time to start praying. I think it’s interesting that Jesus regularly asked people He healed exactly what they wanted him to do. (Matthew 20:29) Why ask a blind man what he wants? Of course he wants to see! But Jesus wanted them to acknowledge their exact need. Then he did the impossible and it was clear it was divine intervention. When it comes to prayer, be specific. Tell God exactly what you need. Make sure you are including regular pow-wows with God into your routine. Get His input through prayer, then obey what He says. God wants to make the dream He gave you a reality more than you do. So if you start praying and doing your part, you need to get prepared—things will start to happen. Just be ready, because it may not appear like you imagined it would. God gets creative when it comes to his provision. You may think what you need is money, but really you need something you don’t even realize. Watch for opportunities. Go with what God is blessing. Stay alert and flexible and you’ll see God do some amazing things. Most goals don’t need a giant budget and 10-year plan to get started. They just need you to begin. Start with what you have in front of you right now. A Go-Big-or-Go-Home mindset is your enemy. Dream big, but start small. Don’t get overwhelmed. If you’ll work hard and trust God this could be the year you accomplish your goals. So go for it! Courtesy Relevant Magazine www.relevantmagazine.com. Photo courtesy Bigstock. The opinions are those of the author and do not necessarily reflect the position or policy of the Florida Conference.